Experts have developed a potentially "game-changing" test to predict a woman's risk of breast cancer. It combines information on family history and hundreds of genetic markers with other factors, such as weight, to give the most comprehensive assessment possible, says Cancer Research UK. The test is not yet routinely available on the NHS - some GPs and specialists are trialling it first. Prof Antonis Antoniou, lead researcher at the University of Cambridge, said: "This is the first time that anyone has combined so many elements into one breast cancer prediction tool. 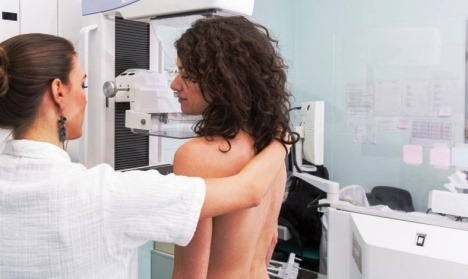 "It could be a game changer for breast cancer because now we can identify large numbers of women with different levels of risk - not just women who are at high risk. "This should help doctors to tailor the care they provide depending on their patients' level of risk. "In the meantime, we'd encourage anyone who is concerned about their breast cancer risk to speak to their GP," spokeswoman Eluned Hughes said. "While there are some factors that we can't change, there are steps everyone can take to reduce their risk of breast cancer, such as exercising regularly, maintaining a healthy weight and drinking less alcohol."